Hey everyone! I'm not currently pregnant (I'm waiting until my son's 3) but I wanna have 2 more kids and I just like to be ready. I have a list (kinda) of 8 names (4 for each gender) and need some help! Last name: Navarro . My son's name is Hayden Samuel R.
I like the name Isiana. I also think the name Liliana for a girl would sound nice with Hayden. Thanks ladies! Meghan, I like Daniel, Delilah & Ruby, love Matthew, Iris & Jade! Alexandra, I like Liliana, but that's my cousin's name and I don't want my kids to have names other people have in our families. Thank you so much for your suggestion though! Are names from your siggy still usable? I still really like some combos/names from there! I think Rowan Nicholas and Nicholas Rowan work either way but I think only Andrew Allen works. Hayden, Rowan, and Andrew could sound like brothers but I think Andrew stands out style wise. With Hayden, Nicholas, and Andrew I think the difference is less subtle and the names "go together" more. As for girls, I prefer Layla to Leyla. And I agree with Meghan about maybe Layla Gabrielle Eve. I think Ashley Jade Aria-Louise is too much of a mouthful. I'd drop at least one name. Ashley Aria-Louise or Ashley Jade Louise or even Ashley Aria-Jade. Hayden and Layla would make a great pairing for siblings! Ashley could definitely work with them as well. I'm sitting her racking my brain trying to figure out how to honor Ashley, Jade, Maria, and Luis in one name and all I've gotten is Ashley Jade Maris (Mar-ia & Lu-is). 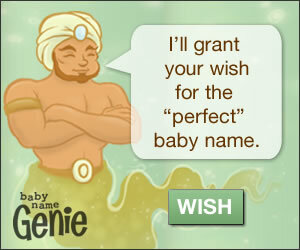 Do you want all the honor names for one kid or would you be willing to spread them out? I also think Hayden and Seth work together. Hayden Samuel and Seth Allen?